Many times I agonize over 'what to write'. The reason is one of the steps in writing the perfect blog is to determine your audience. In the financial planning world the conversation could go in a hundred different directions. If the truth be known, I either precisely hit or completely miss the mark. 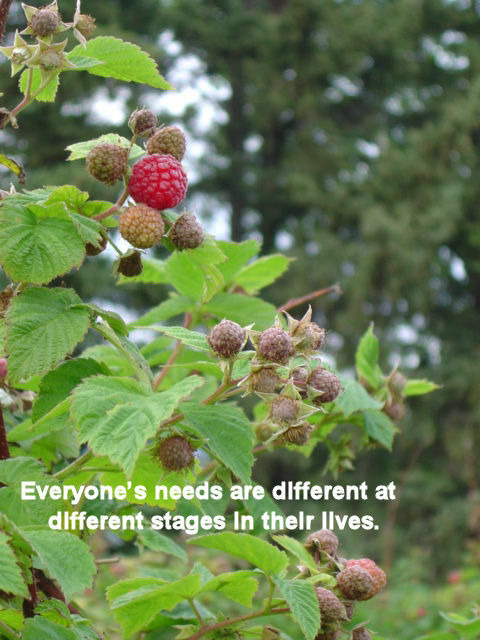 Everyone's needs are different at different stages in their lives. Our profession or business. What kind of work will we do in our lifetime? Our finances. Depending on our income, how much can we afford to pay? Our goals. If we decide to do something, how will we achieve these goals? Our ideal life partner. What kind of person is the perfect match for us? I believe that many people take thinking for granted. They see it as a natural function of life. 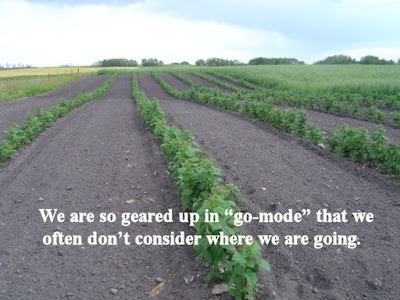 But the truth is that intentional thinking isn’t commonplace. 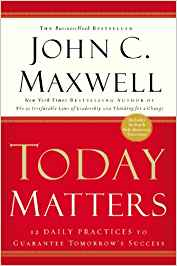 What you do every day in the area of thinking really matters because it sets the stage for all your actions, and it will bring you either adversity or advantage. Big Picture Thinking: the ability to think beyond yourself and your world in order to process ideas with a holistic perspective. Focused Thinking: the ability to think with clarity on issues by removing distractions and mental clutter from your mind. Creative Thinking: the ability to break out of your “box” of limitations and explore ideas and options to experience a breakthrough. 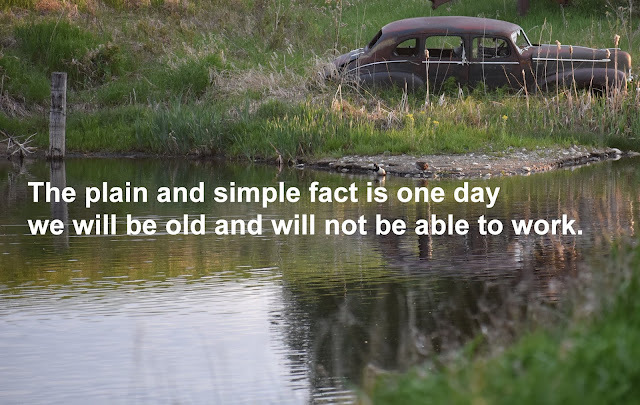 Realistic Thinking: the ability to build a solid foundation on facts to think with certainty. Strategic Thinking: the ability to implement plans that give direction for today and increase your potential for tomorrow. Possibility Thinking: the ability to unleash your enthusiasm and hope to find solutions for even seemingly impossible situations. Reflective Thinking: the ability to revisit the past in order to gain a true perspective and think with understanding. Questioning Popular Thinking: the ability to reject the limitations of common thinking and accomplish uncommon results. Shared Thinking: the ability to include the heads of others to help you think “over your head” and achieve compounding results. Unselfish Thinking: the ability to consider others and their journey to think with collaboration. Bottom-Line Thinking: the ability to focus on results and maximum return to reap the full potential of your thinking. This tidbit of information may have piqued your interest. This curiosity may trump your need to know why this is important. Much to your surprise, as the title of the book implies, when you change your thoughts, you change your life. 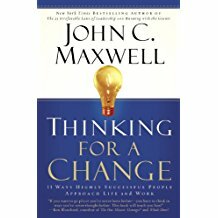 Mr. Maxwell’s follow-up book, How Successful People Think (2009), dedicates a chapter specifically to each thinking skill. These eleven thinking skills also appear in detail in his other book, Thinking for a Change (2003). Believing we will master all of these skills is a fallacy. However, understanding these skills enables you to determine your strengths in each area on a scale of 1 to 10. Previously, I asked the question, Are Negative Thoughts About Money Holding You Back? Now I am asking you to consider how you think simply because I honestly believe we don’t give this much thought. 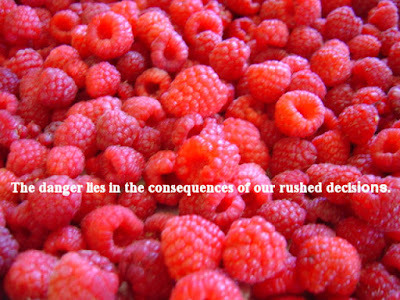 The danger lies in the consequences of our rushed decisions. When we don’t take the time to adequately think our way through our thoughts and ideas, we experience conflicts with ourselves and others. I can think of an instance when someone recently shared, “I wish I hadn’t bought that new truck. My budget is stretched with the new payment.” Any kind of impulsive no-thought purchases cause people stress more than they would like to admit. 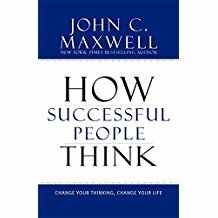 Mr. Maxwell’s book, How Successful People Think, changes our perspective about thinking. When we take the time to think through our thoughts, like he encourages, we have a greater sense of control over the outcome of our decisions. I love the mental projections in my mind when I think about the strategy. I see “clarity” as we concentrate, map out the details with pen and paper in hand, and weigh the pros and cons of our decisions. It’s much like the feeling I have when I decide what I will say in my blog posts. I distinctly remember Mr. Maxwell’s lesson about our thoughts either requiring a runway or launch pad. When our thoughts are so small we don’t need a runway to fly them, a launch pad will do. So how big are our ideas? Are our thoughts like a Boeing 747 in need of a long runway or a helicopter in need of a small launch pad? I wish I could say all my thoughts and ideas were great “runway” thoughts. I have made some good decisions but I also made some poor ones, like my idea for a U-Pick Raspberry Farm. The U-Pick idea turned into an I-Pick because people were interested in purchasing berries, not picking them. Intense labour problems compounded with flood issues resulted in downsizing. The small business venture existed for a number of years but in reality never soared. This serves as an example of my launch pad idea. Taking time to think and create a business plan (even if the plan is designed for your personal growth) is extremely important. We are so geared up in “go-mode” that we often don’t consider where we are going. The consequence of this kind of drive creates regrets especially when money is involved. The vision of purchasing a cabin or acreage can serve as an example. With dreamy eyes, we think, “Wouldn’t it be nice to look out the front window onto the lake.” “Wouldn’t it be nice to hear only the birds and not the traffic sounds if we lived on an acreage?” Often our dreamy state gets us into financial hot water. “Big Picture” or “Realistic” Thinking helps work out the details of our dreams. Mr. Maxwell has been my mentor through his books and monthly mentoring lessons; he certainly has shaped my thoughts. His inspiration and teaching offer encouragement to all his readers and listeners. I recommend taking hold of his information and applying it to our lives. Listening to our thoughts is like formulating lifetime goals. If we don’t allow ourselves time to think then how will we know what we should be doing with our time, wealth, talents, and abilities? In the end, thinking benefits us by offering us a chance at a changed life. Literally taking a page from Mr. Maxwell’s book, How Successful People Think, is the best way to end this blog post. “One Final Thought” is the section of his book where he shares inspired thoughts based on quotes from renowned people. 1. Everything begins with a thought. “Life consists of what a man is thinking about all day.” – Ralph Waldo Emerson. 2. What we think determines who we are. Who we are determines what we do. “The actions of men are the best interpreters of their thoughts.” – John Locke. 3. Our thoughts determine our destiny. Our destiny determines our legacy. “You are today where your thoughts have brought you. You will be tomorrow where your thoughts take you.” – James Allen. 4. People who go to the top think differently than others. 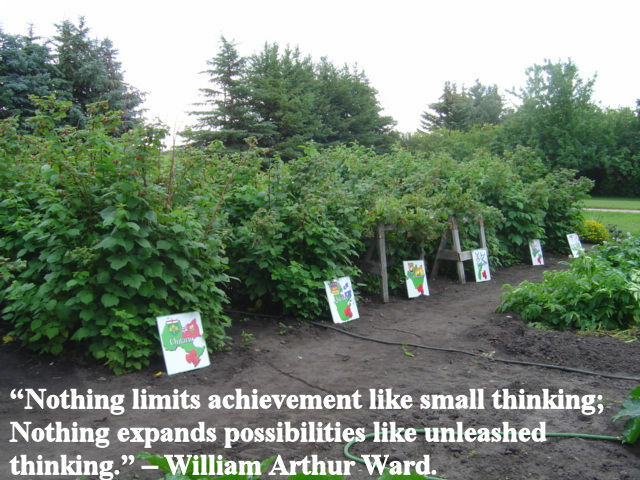 “Nothing limits achievement like small thinking; Nothing expands possibilities like unleashed thinking.” – William Arthur Ward. 5. We can change the way we think. “Whatever things are true… noble… just… pure… lovely… are of good report. If there is any virtue and if there is anything praiseworthy; think on these things.” – Paul the Apostle.